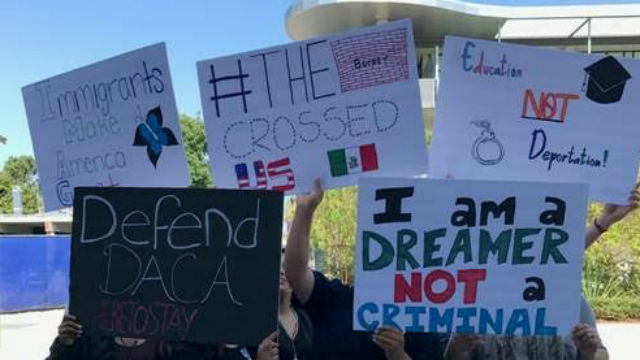 Young undocumented immigrants seeking to avoid deportation can apply for protection under the Deferred Action for Childhood Arrivals program, according to a federal judge’s ruling Tuesday. In his ruling Bates said the government “must accept and process new as well as renewal DACA applications,” but he stayed his decision for 90 days in order to allow the Department of Homeland Security an opportunity to better explain its legal justification for ending the program. The DACA program officially ended last month, but previous court orders have forced the government to accept renewal applications. According to published reports, about 700,000 undocumented immigrants — known as Dreamers — have signed up for the program since it was created in 2012.